Orbis Financial Corporation Limited is also SEBI Registered ‘Registrar and Share Transfer Agent’ and our group holding Company ‘Orbis Capital Limited’ is now a SEBI registered Trustee Service Provider. 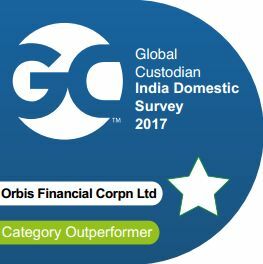 Orbis is a leading player in India providing Securities Services since 2009. 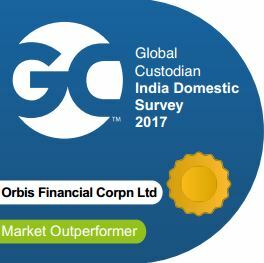 Orbis entered the financial markets as a ‘Custodian of Securities’ to provide a range of focused, forward- looking services designed and customized to equip investors across various segments to efficiently manage their investing operations. Our broad clientele includes Domestic & Foreign Institutional Investors, Foreign Portfolio Investors, Corporates and High – Net Worth Individuals amongst others. 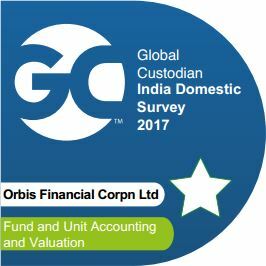 As a Custodian, Orbis is registered with SEBI as a Designated Depository Participant (for Foreign Portfolio Investors), a Clearing Member on NSE, BSE, MSEI & MCX in a variety of segments as also being a Depositary Participant on the NSDL & CDSL. Being a dedicated Custodian, we pride ourselves on our Zero Conflict Business following the fully disclosed model upto the Beneficiary level. Orbis is also registered with SEBI as Category I Registrar & Share Transfer Agents and has connectivity with both the Depositories, NSDL & CDSL. Through its holding Company, Orbis Capital Limited, Orbis also has the facility to provide Trustee Services. Orbis Capital Limited is registered with SEBI as ‘Trustees’. Adopting a partnership approach, Orbis works closely with its clients, at every step understanding their requirements and applying its domain expertise offering the most suited services with relatively least risks. At every step, Orbis stays accessible, prompt, responsive and friendly providing client focused services with an economical, accurate, effective and innovative approach and strives to give importance to service innovation in accordance with the Industry standards. Orbis keeps pace with times deploying a robust State of the Art Integrated technology platform developed on an ERP system, allowing an agile and nimble footed approach. Orbis is committed to provide efficient, effective and robust services to our clients with better use of the Technology. We are committed to the Capital Markets. Atul comes with over 25 years of multi-faceted experience in Indian Financial Markets including Management Consulting, Corporate Finance, Treasury and Financial Services. He is a qualified Chartered accountant & SAP Consultant. Shyam is a Chartered Financial Analyst & Chartered Accountant with nearly 15 years of rich and diverse experience in the Custody and Capital Markets at ICICI Bank. He brings rich domain expertise and thorough understanding in these specialised segments of the Capital Market. As their Business Head, he had been responsible for business development and product development, delivering superior client satisfaction with enhanced financial results through proactive engagement with Foreign & Domestic Institutional Clients and Broker Dealers. Manoj Agrawal comes with over 15 years of rich experience in the financial services industry. Manoj has hands on expertise in critical domains such as Fund Administration, Operations, Regulatory Compliances and Finance & Control.